Botswana, officially the Republic of Botswana (Tswana: Lefatshe la Botswana), is a landlocked country located in Southern Africa. The citizens are referred to as “Batswana” (singular: Motswana). Formerly the British protectorate of Bechuanaland, Botswana adopted its new name after becoming independent within the Commonwealth on 30 September 1966. It has held free and fair democratic elections since independence. A mid-sized country of just over two million people, Botswana is one of the most sparsely populated countries in the world. Botswana was one of the poorest countries in Africa when it gained independence from Britain in 1966, with a GDP per capita of about US$70. Botswana has since transformed itself, becoming one of the fastest-growing economies in the world to a GDP (purchasing power parity) per capita of about $14,000. The country also has a strong tradition as a representative democracy. 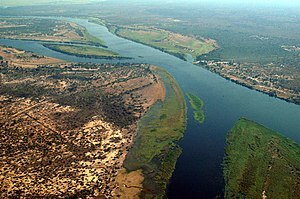 via Botswana – Wikipedia, the free encyclopedia. Since independence, Botswana has had the highest average economic growth rate in the world, averaging about 9% per year from 1966 to 1999. Growth in private sector employment has averaged about 10% per annum over the first 30 years of independence. The relatively high quality of the country’s statistics means that these figures are likely to be quite accurate. The government has consistently maintained budget surpluses and has extensive foreign exchange reserves. Botswana’s impressive economic record has been built on a foundation of diamond mining, prudent fiscal policies, international financial and technical assistance, and a cautious foreign policy. It is rated the least corrupt country in Africa, according to an international corruption watchdog, Transparency International. By one estimate, it has the fourth highest gross national income atpurchasing power parity in Africa, giving it a standard of living around that ofMexico and Turkey. Trade unions represent a minority of workers in the Botswana economy. In general they are loosely organized “in-house” unions, although the Botswana Federation of Trade Unions (BFTU) is consolidating its role as the sole national trade union centre in the country.